Kay has earned the respect of the world’s largest automotive manufacturers, as well as Tier 1 and Tier 2 OEM suppliers, with consistent product innovation, quality and dependable single-source service. 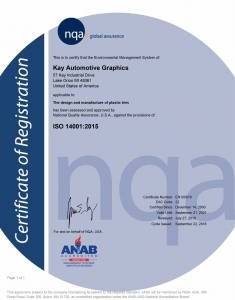 We have been registered to ISO 9001, ISO 14001 and IATF 16949. 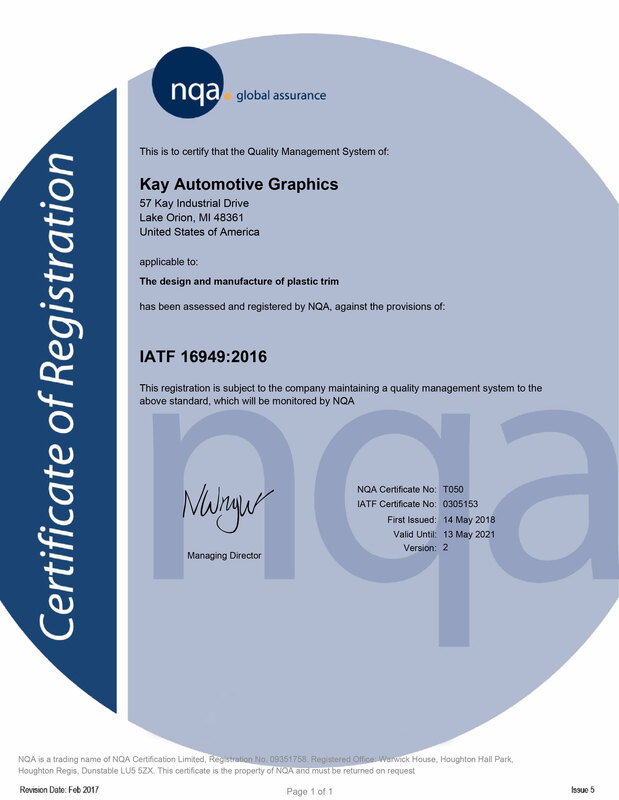 For these reasons, Kay has become a preferred supplier to many of our major customers and has received many of the automotive industry’s highest rated awards. 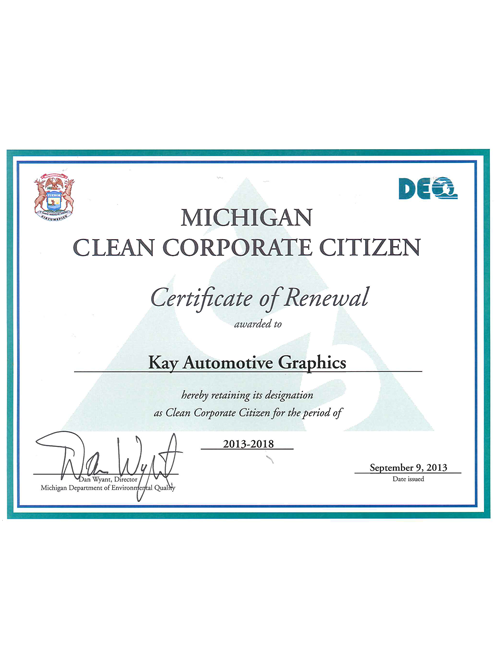 Kay has also been designated as Michigan’s 84th ‘Clean Corporate Citizen’ by the Michigan Department of Environmental Quality and remained a clean corporate citizen since 2005.